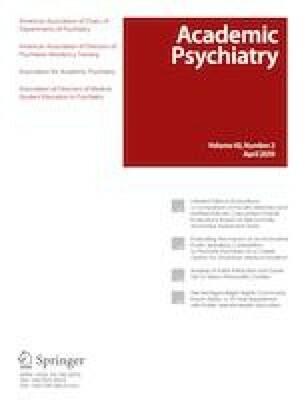 This paper sought to compile an annotated bibliography for the outpatient year of adult psychiatry residents, providing resources for a foundation in psychodynamic theory which can be utilized in supervision to aid in ongoing psychotherapeutic work. In selecting the readings, the ACGME Milestones sub-competencies considered were (i) empathy and process, (ii) boundaries, (iii) alliance and provision of psychotherapies, (iv) seeking and providing supervision, and (v) knowledge of psychotherapy (theories, practice, and evidence base). Once the readings were selected, two authors independently reviewed the articles to determine which key sub-competencies each article addressed. Chance corrected agreement between the reviewers was assessed using the Cohen kappa statistic. The kappa for interrater agreement was 0.83. A list of 32 readings was compiled sequentially, allowing for theoretical concepts to be progressively built upon. The content of the papers aligned well with multiple sub-competencies in the medical knowledge (MK) and patient care (PC) domains. The bibliography allows for close examination of therapeutic frame; active listening and reflecting on the meaning of the therapist’s interventions; transference and the use of countertransference as a diagnostic/therapeutic tool; defense mechanisms; patient pressures towards reenactment; theoretical viewpoints on therapeutic action (e.g., ego psychology, self-psychology, relational therapy, object relations, classical/modern Kleinian); and meaning of lateness, treatment breaks, and termination. This list serves as an ancillary resource which can augment discussions in therapy supervision, while also aiding in standardizing the minimal knowledge base achieved in psychodynamic theory. On behalf of all authors, the corresponding author states that this manuscript was prepared in accordance with ethical standards. A statement under “Ethical Considerations” is not applicable for this study. Accreditation Council for Graduate Medical Education (ACGME). The Psychiatry Milestone Project. 2015. https://www.acgme.org/Portals/0/PDFs/Milestones/PsychiatryMilestones.pdf. Accessed 27 Jan 2019.